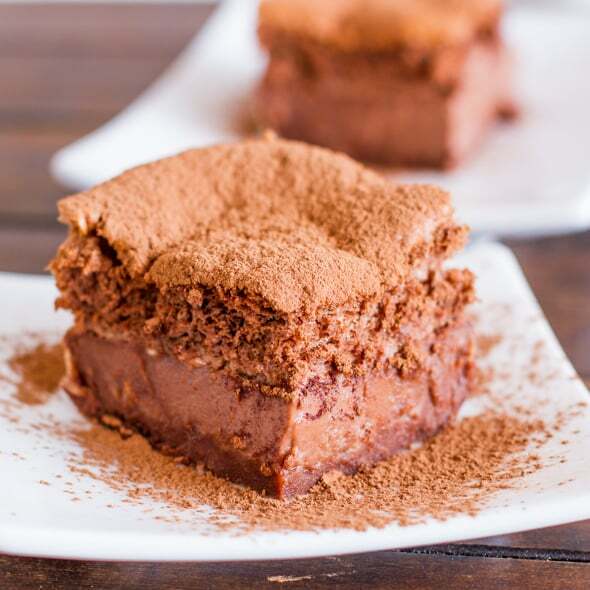 Magic Flan Cake – a delicious cake with a chocolate cake and flan cake layer. 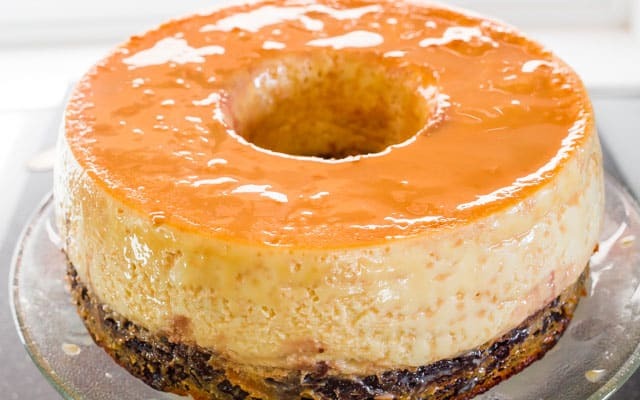 The magic happens when it bakes as the chocolate layer floats to the top and the flan to the bottom. It’s time for another magic cake recipe. I just can’t ever get tired of these amazing magic cakes. Yesterday when I posted the 1 Ingredient Caramel Sauce, I mentioned that something special was coming. Well this is it. In all the baking that I’ve done over the years, I have to say this is my favorite cake that I have ever made. Yep, that’s saying a lot, but I absolutely love flan, and when paired together with a delicious layer of chocolate cake, you have magic. That caramel sauce can be used in many ways, like sweetening your coffee in the morning, or to make caramel apple dip, but my favorite way is to drizzle it over cakes. 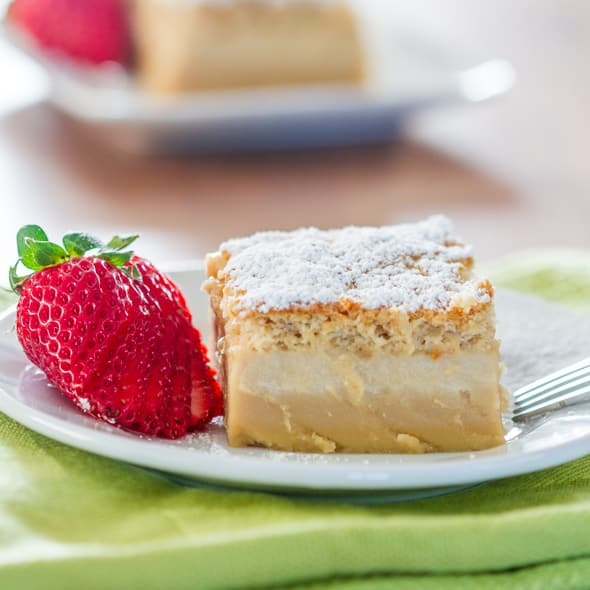 To make this magic flan cake could be a bit of work, but it is so worth it in the end. The end result is amazing. I had 2 slices, that’s right 2 slices, then I made hubs take half of the cake over to my sister, because I was afraid I would eat the entire thing. It’s that good. 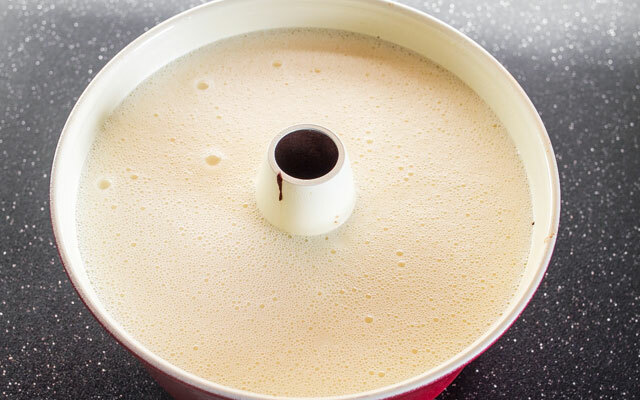 The magic part about this flan cake is that when you make the cake, the chocolate batter is at the bottom, and as it bakes, it floats to the top and the flan is on the bottom. It’s magic! To start making this cake, you will need a large 12 cup angel food cake pan, which you need to spray with some cooking spray. I just used Pam. Take about 1/2 cup of that 1 Ingredient caramel sauce if you made it, otherwise use store bought caramel sauce, and pour it evenly over the bottom of the pan. 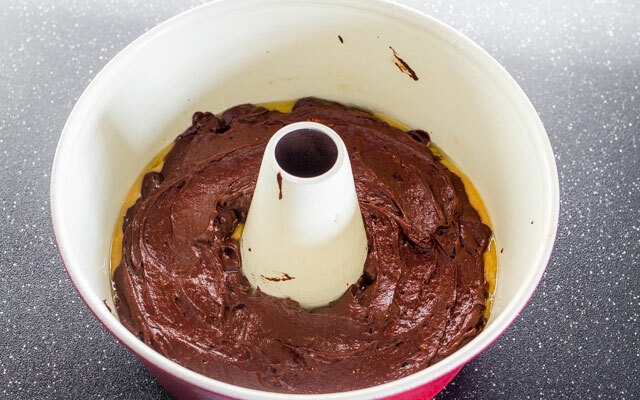 Follow the instructions in the recipe to make the chocolate cake batter, it’s a simple chocolate cake batter with buttermilk, and pour that over the caramel, spreading it evenly around. 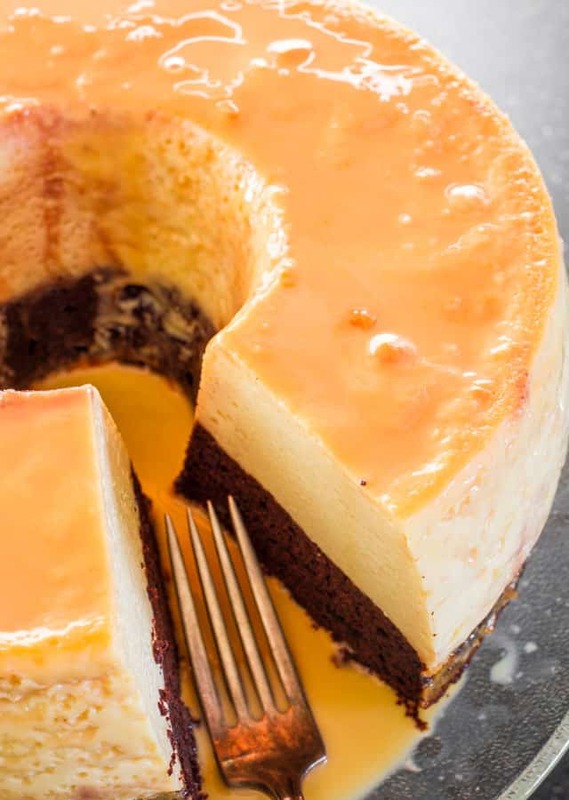 Next you need to make the flan which is really simple to make, all you need to do is mix all the ingredients in a blender, then simply pour over the chocolate cake. 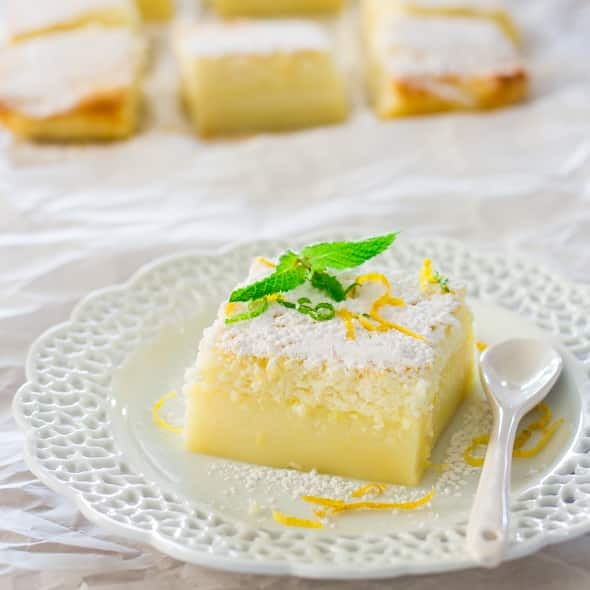 You do need to make a water bath bath for baking this cake, so you’ll need a large roasting pan, one that’s large enough so that your angel food cake pan fits in it. You need to pour enough water so that it’s half way up the sides of the pan. 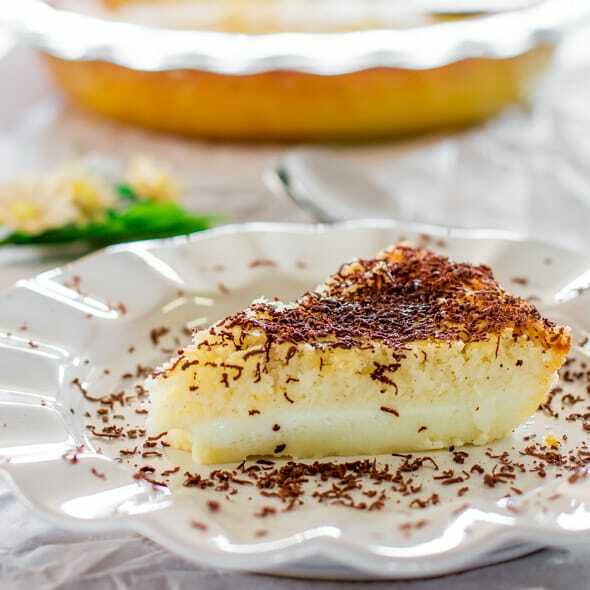 The flan cake requires a long baking time, I baked mine for about 1 hour and 40 minutes, you will want to do the toothpick test to make sure it’s done. The next part is super hard, at least it was for me. 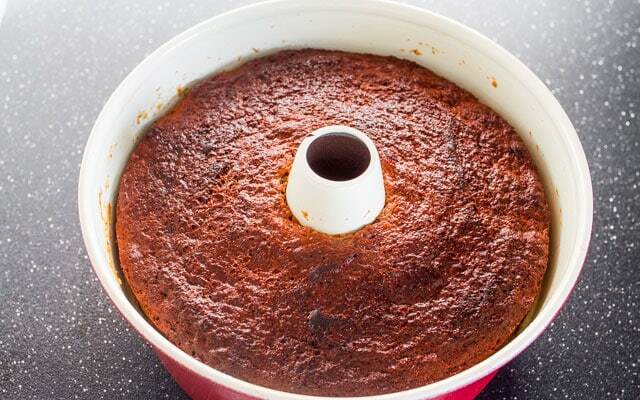 You need to let the cake cool completely, I mean completely, like overnight. Can I just say that all I dreamt last night was magic flan cake! Make sure you place it in the fridge once it’s cooled. The next day it will look like this. Before flipping it over, you will want to place it in that roasting pan again with some hot water, just for a couple more minutes, so that it makes it easier for the cake to release. 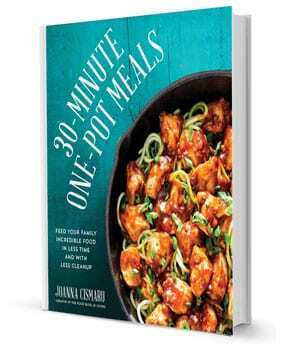 Once ready, flip it over onto a large serving platter. The way I do it usually is put the platter over the pan then flip it over. But this was a heavy cake and I had worked long and waited and dreamed for a long time for this perfection, so this is where I called hubs to flip it. And he did such a wonderful job the flipping of this cake. What teamwork! Doesn’t it look just purrrty! You can see the nice chocolate layer on the bottom and the huge flan layer which is just to die for. And on top we have some of that delicious caramel sauce drizzling all over this yummy cake. So here’s the thing. Some of you may come and say to me that you loved it but it was too eggy. Well did you see how many eggs go into this cake? 12 eggs in total! It will be EGGY! It’s a flan cake! It’s an eggy custard. Just saying! 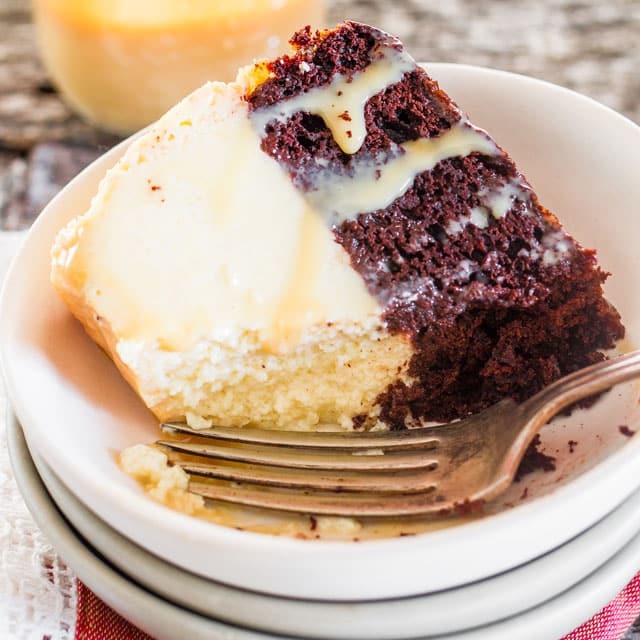 But if you love flan and you love chocolate cake, then OMG this magic flan cake is for you. 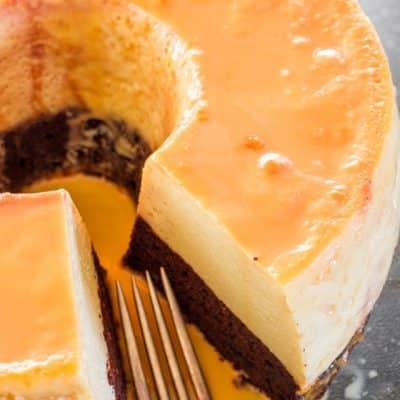 Magic Flan Cake - a delicious cake with a chocolate cake and flan cake layer. The magic happens when it bakes as the chocolate layer floats to the top and the flan to the bottom. Spray an angel food cake pan (without a removable bottom) with cooking spray. Pour the caramel sauce evenly over the bottom of the pan. Please note to use a angel food cake pan with no removable bottom, as the caramel and batter will seep out of it. Over the years I’ve made this cake many times and it is always a hit. 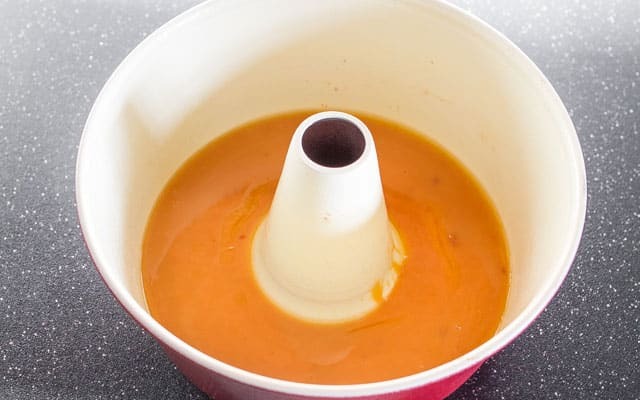 I would like to share a tip: After flipping the cake, If it sticks just place a very hot, wet towel over the pan for a few minutes and it will release. 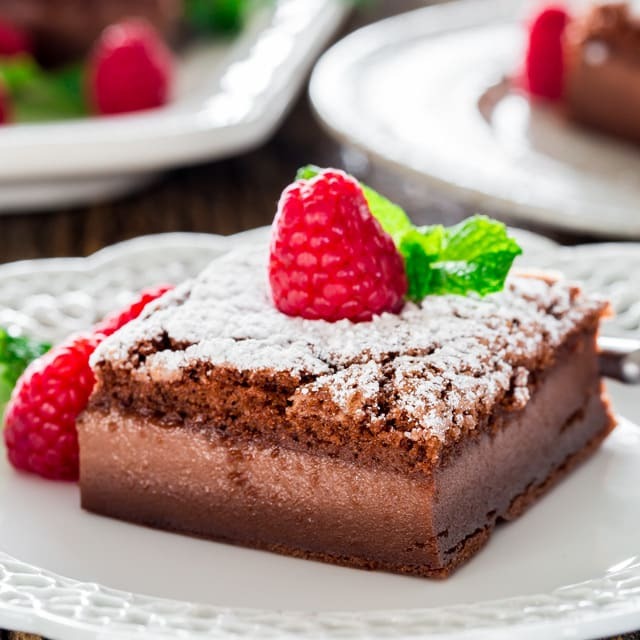 Not only is the cake easy and good, everyone thinks you are an amazing cook. Do not use the two piece pan 😢 I made it into a gluten free/ refined sugar free version and I could tell it was going to be so good until the two layer of my pan floated apart in my water bath. Sooooo sad.